The internet is buzzing with the latest news from the f8 conference in San Francisco. Mark Zuckerberg is declaring war on Google and his weapon, the assurance of a new ‘social’ internet, seems a formidable one. 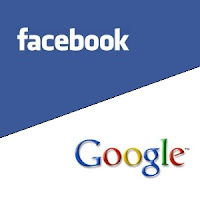 The battle between the two internet giants is by no means new. A rumoured takeover bid along with the creation of the Facebook-rivalling site Google Buzz do nothing to dispel the feeling that Google is more than keen to quash this ferociously ambitious social networking upstart. While Facebook recently beat Google to first place as the USA's most popular website, it is still, however, just a social networking site. Google, on the other hand, remains the world's most famous multinational search engine, offering countless web-based services and even finding the time to take on entire countries.. In terms of services provided and general control over the internet, there would not appear to be much direct competition between the two. The recent f8 conference has changed all of that, however. In a series of announcements regarding new Facebook developments, Zuckerberg has stated his aim is not only to best Google in terms of popularity but to replace the search engine as the heart of the online experience. The internet takeover will apparently be achieved through the use of a new open graph protocol. Similar to Twitter's @anywhere feature, the idea is to incorporate the Facebook experience into other websites by including a 'Like' button which allows users to register their approval of chosen content and share this information with their friends. The open graph protocol also enables companies to access these preferences in order to tailor a user’s online experience to their individual tastes. By amassing such an extensive database of user information Facebook could easily start stepping on Google's toes when it comes to social advertising and personalising users' online experiences. Zuckerberg evidently believes that Facebook's new developments prove its superiority over Google at catering to the public's needs: "People are discovering information not just through links to web pages but also from the people and the things they care about." With Damon Cortesi , founder of UntitledStartup, making such inflammatory statements as "Facebook has won the internet," we here at theEword are just wondering whether Google regrets setting up a Facebook page.